The 2018 Florida Supreme Court under Chief Justice Charles Canady. More than half (7 out of 13) of the proposed amendments have been challenged and are actively making their way through the state court system. Circuit court judges have ordered several of the amendments removed from the ballot because of misleading summaries and titles, but the Florida Supreme Court will make the final determination. The state Supreme Court has until September 22 to decide. That’s the day when the ballots get mailed out to overseas voters. Ballot items need the approval of 60% of voters in order to pass. On a separate but somewhat related track is a current lawsuit asking the state of Florida to require 32 counties to provide ballots in the Spanish language, citing the recent influx of Puerto Ricans who fled the island after Hurricane Maria into those counties . Update September 7: The Florida Supreme Court has upruled the lower court. This item has been stricken from November ballot. This amendment would radically change the way that charter schools are created and overseen in Florida. But you might not know that by reading the ballot title and summary language. In fact, the word “charter schools” doesn’t appear in the language at all, which is why the League of Women Voters brought a case against it. In ruling against the state, Leon County circuit court judge John Cooper found that the current language “does not accurately inform Florida voters of the true effect of the proposed amendment.” He ordered the amendment taken off the ballot. The state appealed the decision to the Florida Supreme Court. An oral argument was heard on September 5. The Supreme Court upheld upheld the lower court's ruling, and the item has been stricken from November ballots. Update: On September 7 the Florida Supreme Court upheld the lower court. The item will stay on November ballots. This amendment would require that all Florida counties elect five public officials, and forbids them from not doing so. Those offices are: Sheriff, property appraiser, supervisor of elections, tax collector and clerk of court. In reality, it only affects a few counties, since nearly all counties already have elected officials in these positions. But not all of them. Miami-Dade, Broward and Volusia Counties filed lawsuits to stop the state from mandating that they create these elected positions. (Miami-Dade also doesn’t have an elected tax collector or supervisor of elections; Broward doesn’t have an elected tax collector; Volusia County’s government appoints most county officers but elects a sheriff.) They argued that the amendment is seeking to undermine the rights of voters of those counties to decide their own fate. Considering this, the argument goes, the ballot language is not clear enough for a voter to understand. Complicating the amendment is the fact that a “yes” vote would also keep Florida’s department of veterans’ affairs in operations and create an “office of domestic security and antiterrorism” within the state. All three issues are bundled up together in the same item. The counties brought up this point in the lawsuits. James Shelfer, a Leon County circuit court judge, did not buy the counties’ arguments about home rule and bundling of issues. He said that the language was very clear. Judge Shelfer ruled against Miami-Dade, Broward and Volusia County, and the counties appealed to the Florida Supreme Court. On September 4, requests from the counties for an oral argument were denied. 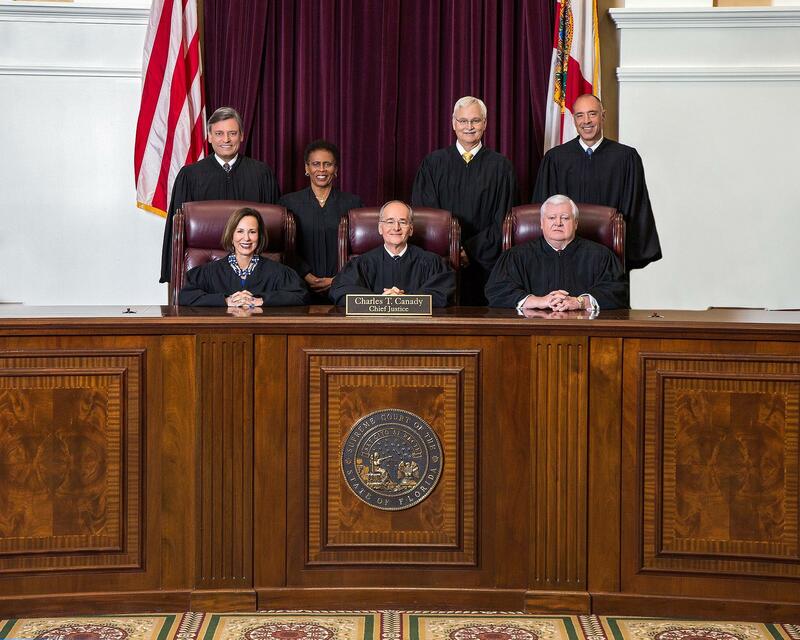 On September 7 the Florida Supreme Court upheld the lower court. The item will stay on November ballots. Update: On September 7 the Florida Supreme Court reversed the lower court. The item will stay on November ballots. This amendment item would give victims of crimes new rights. The flipside is that it could impact rights of someone accused of a crime. Basically the amendment would adopt something called “Marsy’s Law,” a victims rights bill that passed in California in 2008 and has since been adopted by Illinois. It was named after Marsalee Nicholas, a woman who was murdered by her ex-boyfriend in California in 1983. The new law would grant Florida victims and their families increased rights during the prosecution of cases: things like the right to restitution, the right to reasonable protection, and most notably the right to refuse depositions and discovery requests. Civil liberties groups like the American Civil Liberties Union are opposed to the increased rights for victims, saying that they undermine due process for the accused. The law was also opposed by editorial boards of major newspapers in California before it passed. Thirty years ago Florida voters a proposal to create a new amendment to the state constitution. That new law, which soon passed, included right for the victim of a crime to be “heard when relevant, at all crucial stages of criminal proceedings, to the extent that these rights do not interfere with the constitutional rights to the accused.” That last clause is crucial. The amendment Florida voters would be seeing this year would repeal that 1988 law, and impact the rights of the accused, Leon County circuit court judge Karen Gievers wrote in a final judgment. The problem is that this does not appear anywhere on the title and summary of the amendment. Two separate cases were brought against the proposed amendment voters would be facing this year, but they have since been joined together. The court ordered the amendment removed from the ballot. The state appealed to the Florida Supreme Court. Oral arguments were held for this case on September 5. We’re awaiting a final opinion. If passed, this amendment would all but spell the end of greyhound racing in the United States, as documented by the Washington Post. The amendment would ban betting on dog races in the state. Florida has 13 racing tracks -- the most in any state, according to the Florida Greyhound Association, which brought the case. Tracks can be found from Magic City Casino in Miami to Derby Land in St. Petersburg and Best Bet in Jacksonville. A circuit court in Leon County sided with the Florida Greyhound Association on August 1 without opening the case up for oral arguments and ordered the amendment removed from the ballot. In the final judgment, the court called the amendment language “clearly and conclusively defective” because while the language of the amendment itself has to do with separating dog racing from slot machine gambling and with the humane treatment of animals, the title and the summary of the amendment voters would read at the ballot box doesn’t mention either of these reasons. “If the CRC wanted Florida voters to be able to rethink the relationship between live animal racing and the operation of slot machines, or to be able to adopt as a constitutional fundamental value the humane treatment of animals, the CRC should have included the appropriate language in the ballot and summary,” reads the circuit court’s judgment. The case was appealed by the state. 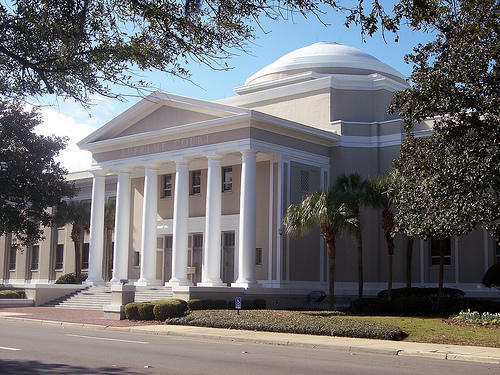 The Florida Supreme Court heard oral arguments for the case on August 28. On September 7 the Florida Supreme Court reversed the lower court. The item will stay on November ballots. In one court case, former Florida Supreme Court Justice Harry Lee Anstead and a co-plaintiff are trying to kill six birds with one stone. They argue that six different amendments that voters will face in November have unconstitutionally bundled completely separate issues together. “This bundling forces a voter to vote yes for a measure the voter opposes in order to vote yes for a measure the voter favors,” Joseph Little, an emeritus law professor from the University of Florida who is representing the plaintiffs, told the News Service of Florida. Leon County Circuit Judge Karen Gievers, who already tossed one amendment off the ballot, is hearing the case. During oral arguments on September 5, she said that she would only be considering the three amendments before her that are not already being challenged at the Florida Supreme Court. Jordan Pratt, a deputy solicitor general in Bondi’s office, told Judge Gievers during oral arguments that “no case in the history of the republic, federal or state, that has ever read the First Amendment to guarantee a right to voters not to vote on bundled proposals.” He called the attempt to get the bundled items tossed out an “unprecedented” legal theory. In a September 6 ruling for the Leon County circuit court, Judge Karen Gievers ordered the three amendments removed from the November ballot, according to WFSU. She said she was "unconvinced" by the state's arguments that there was sufficient connection between the bundled issues to warrant a simple yes or no vote. The state has appealed the ruling. The Florida Supreme Court, which already looked at the case before sending it down to the circuit court level, is expected to pick it back up. Update 9/20/18: The Amendment numbers have been added. Correction 9/20/18: The first paragraph has been corrected to note that not 100% of the amendments facing voters in November originated with the Florida Constitutional Review Commission.